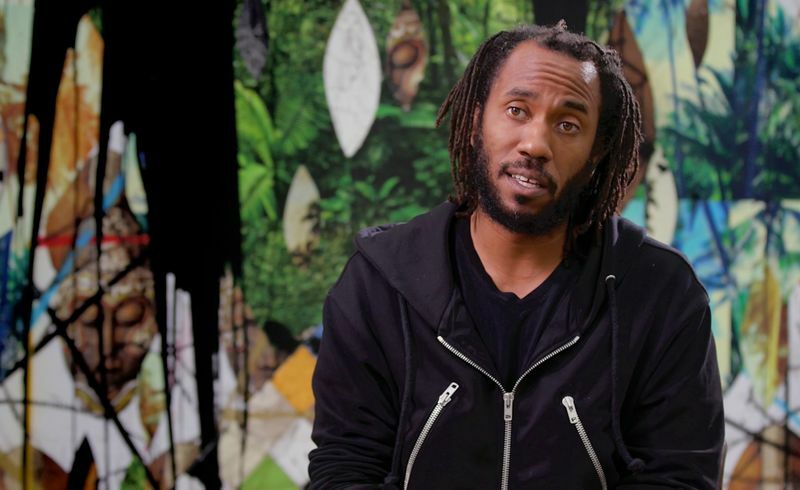 Born in Chicago in 1977, Rashid Johnson is among an influential cadre of contemporary American artists whose work employs a wide range of media to explore themes of art history, individual and shared cultural identities, personal narratives, literature, philosophy, materiality, and critical history. After studying in the photography department of the Art Institute of Chicago, Johnson’s practice quickly expanded to embrace a wide range of media – including sculpture, painting, drawing, filmmaking, and installation ­– yielding a complex multidisciplinary practice that incorporates diverse materials rich with symbolism and personal history. 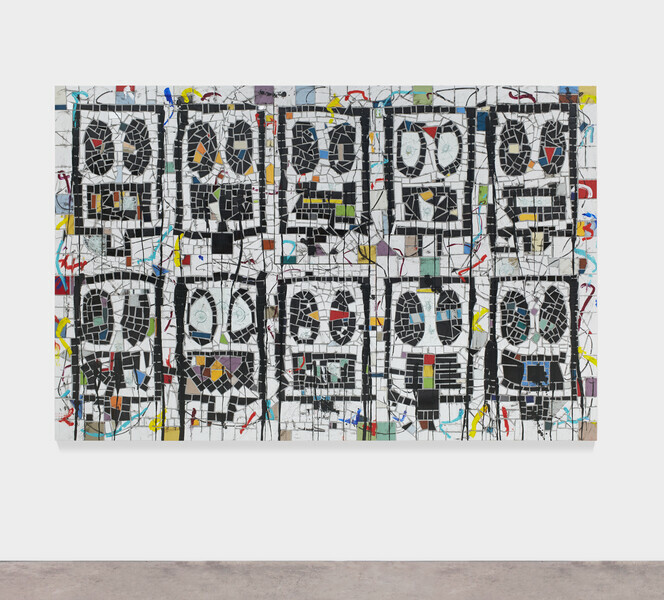 Johnson’s work is known for its narrative embedding of a pointed range of everyday materials and objects, often associated with his childhood and frequently referencing collective aspects of African American intellectual history and cultural identity. 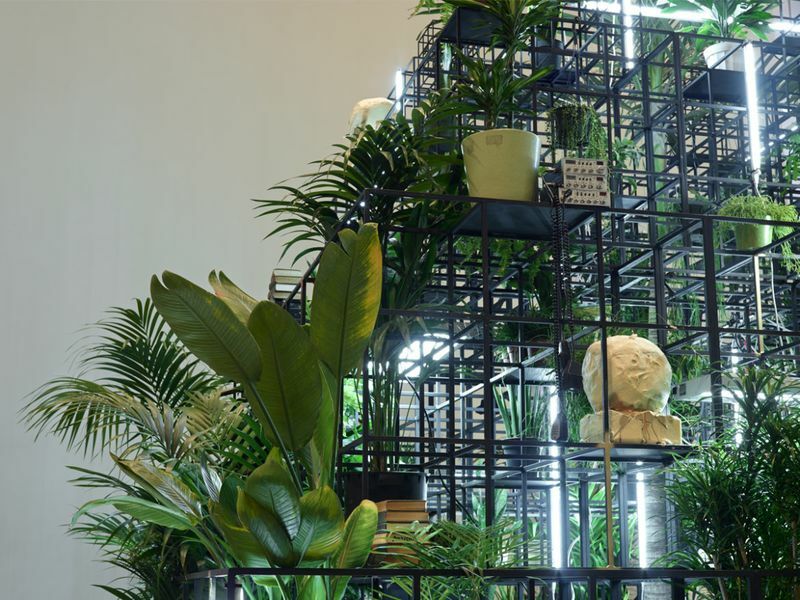 To date, Johnson has incorporated elements / materials / items as diverse as CB radios, shea butter, literature, record covers, gilded rocks, black soap and tropical plants. Many of Johnson’s works convey rhythms of the occult and mystic: evoking his desire to transform and expand each included object’s field of association in the process of reception. 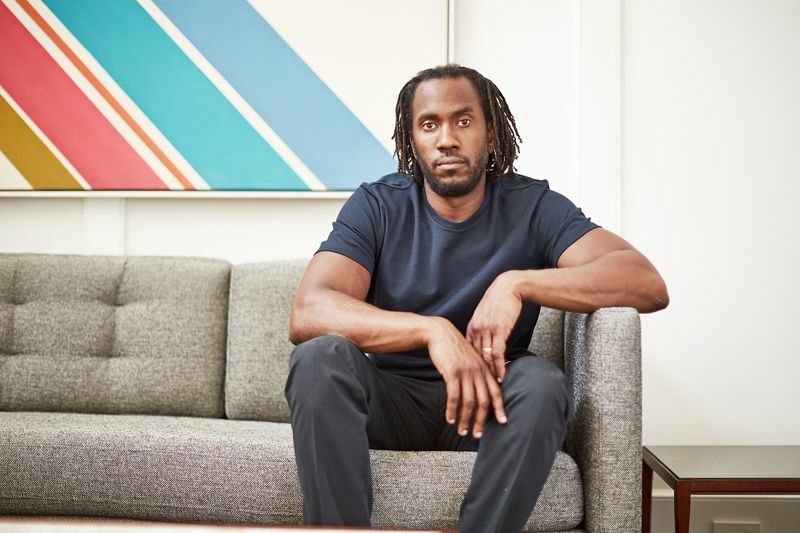 Lincoln Theatre, 'CoDM Ceremonies of Dark Men', Washington D.C.
Storrs, Michael, 'Rashid Johnson. Polymathemagician', Berlin: Auditorium, Winter 2013/2014 issue, pp. 88-97, ill.
Curiger, Bice (ed. ), 'Parkett No. 90', Zurich: Parkett, pp. 120 – 159, ill.
2011 Roselione-Valadez, Juan, 'American Exuberance', Florida: Rubell Family Collection, pp. 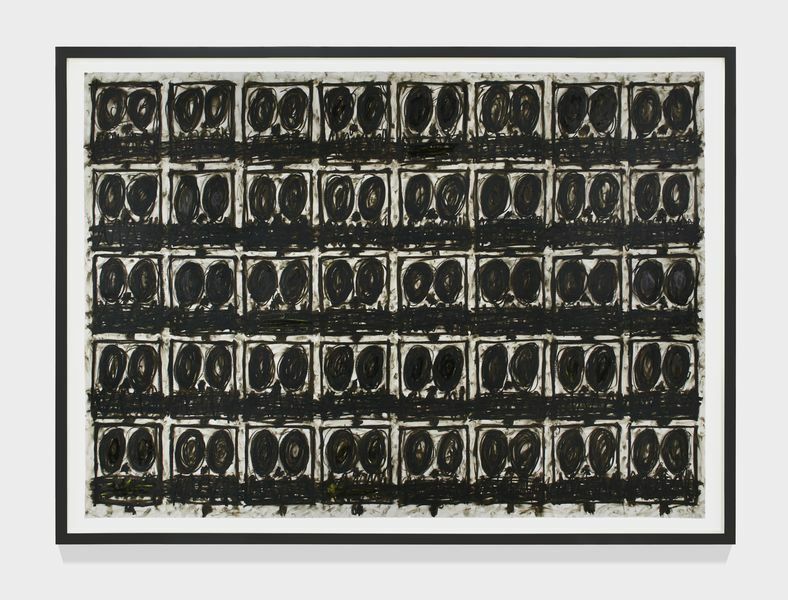 76-79, ill.
2019 Artsy Editors, 'The Most Influential Living African-American Artists', on: www.artsy.net, New York, 25 February 2019, ill.
www.essence.com, New York, 31 January 2019, ill.
as 1940’, on: www.citizentruth.org, Los Angeles, 30 January 2019, ill.
Ebiri, Bilge, ‘Native Son Breathes New Life Into One of American Literature’s Most Heartbreaking Characters’, on: www.vulture.com, New York, 27 January 2019, ill.
Rojas, Ryan, ‘‘Native Son’ Sundance Review. A classic gets a modern punk adaptation’, on: www.cinemacy.com, Los Angeles, 27 January 2019, ill.
Gleiberman, Own, ‘Sundance Film Review. Native Son’, on: www.variety.com, New York, 25 January 2019, ill.
Lee, Benjamin, ‘Native Son review. Ashton Sanders dominates darkly compelling adaptation’, on: www.theguardian.com, New York, 25 January 2019, ill.
Fleming Jr., Mike, ‘HBO Films Lands Rashid Johnson-Helmed Sundance Pic ‘Native Son’’, on: www.deadline.com, Los Angeles, 24 January 2019, ill.
Wightman-Stone, Danielle, ‘Grace Wales Bonner stages first exhibition’, Hoogoorddreef, 24 January 2019, ill.
Hess, Ewa, 'Kunst I', in: Sonntagszeitung, 12 March 2017, p. 67, ill.
2014 Browne, Alix, 'Artists in Residence: Rashid Johnson and Sheree Hovsepian can’t help but bring their work home,' in: W Art, New York NY, December 2014-January 2015, pp. 36-38, ill.
Perrée, Rob, 'Rashid Johnson,' on: www.africanah.org, Amsterdam Netherlands, 13 December 2014, ill.
Curran, Holly, 'Seven Details: Rashid Johnson,' in: Twin Magazine, London UK, December 2014, ill.
Gavin, Francesca, 'Something to Reflect On,' in: Financial Times “How To Spend It,” London UK, 22 November 2014, p. 26, ill.
Runice, Jacky, 'On the road: See double at MCA’s new “Body Doubles” exhibit,' on: www.dailyherald.com, Arlington Heights IL, 31 October 2014, ill.
Zimskind, Lyle, 'Rashid Johnson at David Kordansky Gallery,' on: www.whitehotmagazine.com, Brooklyn NY, 28 October 2014, ill.
__, 'Five Stars For Stripes,' in: The Daily Telegraph, London UK, 19 October 2014, p. 11, ill.
Siegal, Nina, 'The id and the ego, depicted in color,' in: The International New York Times, Paris France, 16 October 2014, p. 7, ill.
Knight, Christopher, 'The Personal and Political in Rashid Johnson’s cubes,' on: www.latimes.com, Los Angeles CA, 10 October 2014, ill.
Biswas, Allie, 'Unveiled: The Danjuma Collection on View,' on: www.theglassmagazine.com, New York NY, 9 October 2014, ill.
Williams, Maxwell, 'The Accumulation of Self: How Rashid Johnson's Art Adds Up', on: www.artinamerica.com, New York NY, 8 October 2014, ill.
Kunitz, Daniel, 'Rashid Johnson', in: Modern painters, New York NY, October 2014, ill.
Finkel, Jori, 'Fourth time's a charm', on: www.theartnewspaper.com, London UK, 16 September 2014, ill.
Miranda, Carolina A., 'Weekend Gallery Report: From snuggles to tacos, everything I saw,' on: www.latimes.com, 15 September 2014, ill.
Rappolt, Mark, 'Rashid Johnson Magic Numbers', in: Art Review Asia, London UK, Autumn/Winter 2014, p. 103, ill.
Miranda, Carolina A., 'Datebook: Painting, performance and film as art season gets into gear', on: www.latimes.com, Los Angeles LA, 11 September 2014, ill.
___, 'Rashid Johnson: Dutchman, Red Square Russian and Turkish Baths, Chicago,' on: www.aestheticamagazine.com, York UK, 11 September 2014, ill. Waters, Florence, 'Rashid Johnson: Shelter,' on: www.artreview.com, London UK, 13 September 2014, ill.
Morton, Tom, 'The History Man', in: Frieze, London UK, September 2014, pp.135-139, ill.
Berardini, Andrew, 'No Longer Lonely (but maybe still a bit brutal): September Openings Across Los Angeles', on: www.artslant.com, Los Angeles CA, September 2014, ill.
___, ' Rashid Johnson "Magic Numbers" at The George Economou Collection, Athens', on: moussemagazine.it, Milan IT, 15 August 2014, ill.
Kunitz, Daniel, 'Review: Rashid Johnson's "Magic Numbers"', on: www.blouinartinfo.com, New York NY, 14 August 2014, ill.
Compton, Nick, 'Rashid Johnson targets notions of origin in a show at Athens' George Economou Collection Space', on: www.wallpaper.com, London UK, 2 July 2014, ill.
___, 'Solo exhibition by American artist Rashid Johnson opens at The George Economou Collection', on: www.artdaily.com, Mexico City MX, 24 June 2014, ill.
Horstmeier, Caroline, 'Art Basel Curator Marc Glöde on His Fascination with Film,' on: www.blouinartinfo.com, New York NY, 19 June 2014, ill.
Gavin, Francesca, 'The Unbearable Lightness of Beaming', in: Sleek, Berlin DE, Summer 2014, pp. 120-129, ill.
Hamer, Katy Diamond, 'Preview: Rashid Johnson, The George Economou Collection, Greece', on: eyes-towards-the-dove.com, New York NY, 14 May 2014, ill.
___, 'Interview: The Idea of Post-Blackness with Rashid Johnson', on: www.frank151.com, New York NY, 14 March 2014, ill.
Sirmans, Franklin, 'Contemporary Friends Acquire Ten New Works by Artists from around the World', on: lacma.wordpress.com, Los Angeles CA, 28 February 2014, ill.
Campbell, Andy, 'An Archive or Reelings. Reflections on a town hall meeting: A love letter to "community"', on: www.austinchronicle.com, Austin TX, 8 January 2014, ill.
Monaco, Jay, 'The Office of The Future,' on: www.huffingtonpost.com, New York NY, January 26 2014, ill.
Emmett, Jacob, 'Labering Abstraction; Grasping at Straws', on: mlkemperartmuseum.wordpress.com, St Louis MO, 10 December 2013, ill.
West, Linnea, 'Post-black #1: Rashid Johnson at the High Museum, Atlanta', on: linneawest.com, Athens GA, 8 December 2013, ill.
Ward, Rachel K., 'The Gathering', on: crfashionbook.com, New York NY, 25 November 2013, ill.
___, 'Rashid Johnson Update', on: iraaa.museum.hamptonu.edu, Hampton VA, November 2013, ill.
___, 'New York Close Up. 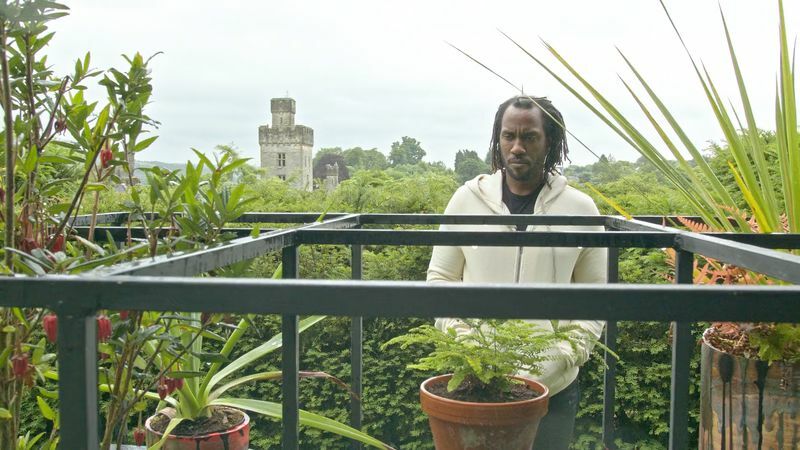 A Documentary Series on Art and Life in the City', on: www.art21.org, November 2013, ill.
Kazakina, Katya, 'Theater Baths', on: www.businessweek.com, 9 November 2013, ill.
___, 'Rashid Johnson. The Gathering’, on: http://online.wsj.com, New York NY, 7 November 2013, ill.
Young, Paul, 'Hot Enough For You? Rashid Johnson's “Dutchman” at the Baths', on: www.artinamericamagazine.com, 6 November 2013, ill.
Nathan, Emily, 'Rashid Johnson: Dutchman, Russian & Turkish Baths, New York', on: www.financial times.com, London UK, 7 November 2013, ill.
Hylton, Richard, 'Rashid Johnson', in: Art Monthly, London UK, October 2013, pp. 7-10, ill.
Wilson, Calvin, 'Rashid Johnson creates artwork for the present that is rooted in the past', on: www.stltoday.com, St. Louis MO, 29 September 2013, ill.
Hermes Griesbach, Sarah, 'Review: Rashid Johnson's Message at the Kemper', on: www.stlbeacon.org, St. Louis MO, 26 September 2013, ill.
___, 'Kemper Art Museum launches 2013-14 season', on: www.news.ustl.edu, St. Louis MO, 18 September 2013, ill.
___, 'Rashid Johnson's 'Message' opens at Kemper Art Museum this Friday', on: www.stlamerican.com, St. Louis MO, 17 September 2013, ill.
Halperin, Julia, 'Cultural capital of black America? ', in: The Art Newspaper, London UK, September 2013, p. 16, ill.
Sutton, Benjamin, 'Performa 13 Commissions Include Chapman Bros., Marianne Vitale, and Rashid Johnson', on: www.blogs.artinfo.com, New York NY, 12 August 2013, ill.
___, 'How to make an Afro-futurist mixtape', on: www.clatl.com, Atlanta GA, 2 July 2013, ill.
Weiskopf, dan, 'At Home in Abstraction: Interview with Rashid Johnson', on: www.burnaway.org, Atlanta GA, 20 June 2013, ill.
Beckwith, Naomi,'A Post-Black-Power Child', in: Flash Art, Rome IT, May-June 2013, pp.128-131, ill.
___, ' Five Objects to Warm Up a Trip to Frieze', on: www.online.wsj.com, New York NY, 9 May 2013, ill.
Rappolt, Mark, 'Sam Gilliam. The pioneer of colour field painting on being curated by artist Rashid Johnson', London UK, April 2013, ill.
William, Maxwell, 'Curator Q&A: Rashid Johnson's Sam Gilliam: Hard- Edge Paintings 1963- 66', New York NY, 15 April 2013, ill.
Smith, Stephen Jacob, ' “Post-Black” Artist Rashid Johnson Buys Brownstone on Lexington Avenue', on: www.observer.com, New York NY, 20 March 2013, ill.
Schama, Chloe, 'The Art of Inspiration', on: www.wsj.com, New York NY, 14 March 2013, ill.
Rodrigues Widholm, Julie, 'Ballroom Marfa // Rashid Johnson: New Growth', on: www.blog.expositionchicago.com, Chicago CHI, 12 March 2013, ill.
___, 'Rashid Johnson: Shelter', in: Art Review London, January-February 2012, pp. 108 – 109, ill.
2012 Gutierrez, Tuesday, 'Hijacking the Domestic: Rashid Johnson Shelter at the South London Gallery', on: momardi.com, 22 November 2012, ill.
Knudsen, Stephen, 'Rashid Johnson: Message to Our Folks', on: artpulsemagazine.com, November 2012, ill.
___, 'Review of Shelter: Rashid Johnson, South London Gallery, on: www.aestheticamagazine.com, New York, 18 October 2012, ill.
Dempster, Heike, 'Rashid Johnson: Message to our Folks', on: www.miamiartzine.com, Miami, 19 September 2012, ill.
Carlos Suarez De Jesus, 'Rashid Johnson's MAM Exhibit Uses Everyday Objects to Explore Race and Identity', on: miaminewtimes.com, Miami, 13 September 2012, ill.
Elsing, Sarah, 'Berlin ist einfach schon zu satt', in: Die Welt, Berlin, 25 August 2012, p. 29, ill.
Stevenson, Jeff, 'Rashid Johnson: A Message to our Folks', on: examiner.com, New York, 26 July 2012, ill.
___, 'Hans Josephson – A Body of Work', on: kilimag.com, London, 27 July 2012, ill.
___, 'O Brother, who Art Thou', in: Sleek, Berlin, Summer 2012, pp. 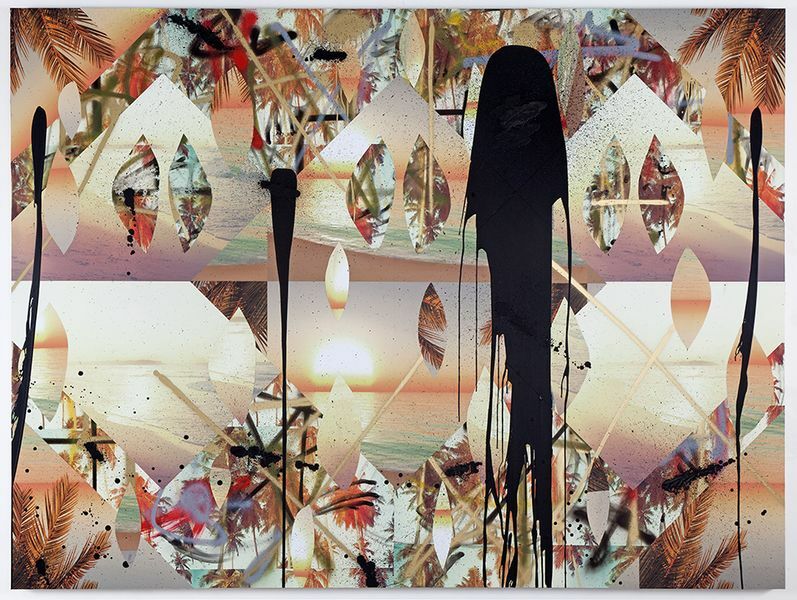 74 – 79, ill.
Copeland, Huey, ' Rashid Johnson', in: ArtForum, New York, June 2012, pp. 300 – 303, ill.
Capper, Beth, 'In Defiance of History: Rashid Johnson & Cauleen Smith', on: www.artslant.com, Chicago, 30 May 2012, ill.
Mattson, Kaitlyn, 'Rashid Johnson: From Columbia to MCA', on: www.chicagotalks.org, Chicago, 3 May 2012. Stackhouse, Christopher, ’Rashid Johnson in the Studio with Christopher Stackhouse’, in: Art in America, New York, April 2012, pp. 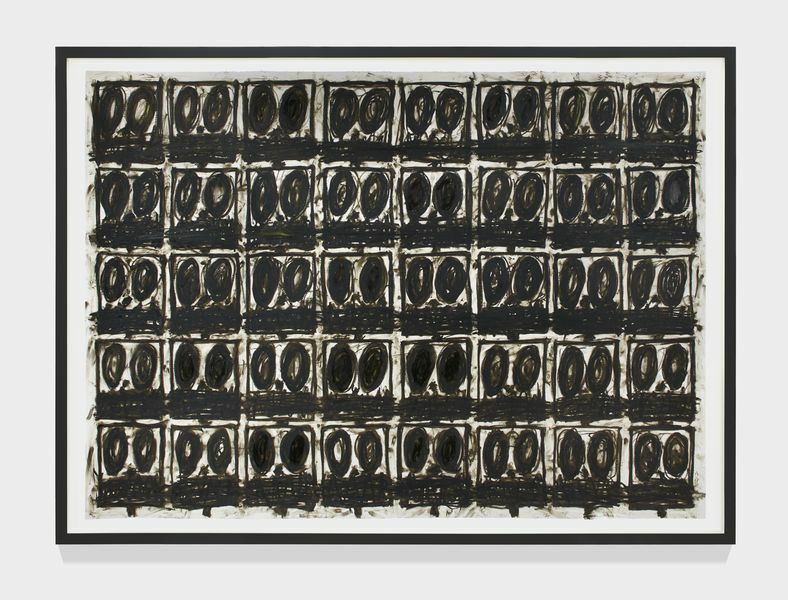 106 – 113, ill.
Richard, Frances, 'Rashid Johnson. Hauser & Wirth', in: Art Forum, New York, April 2012, pp. 209 – 2010, ill.
Miller, Michael H., Douglas, Sarah, ‘Rashid Johnson will throw first pitch at Wrigley Field’, on: www.galleristny.com, New York, 5 April 2012, ill.
Bey, Amir, ’Rashid Johnson’s Rumble: 1970s to the Future’, on: artvoicesmagazine.com, Los Angeles, April 2012, ill.
Holmes, Pernilla, ’New York, New Wave’, in: Financial Times, London, pp. 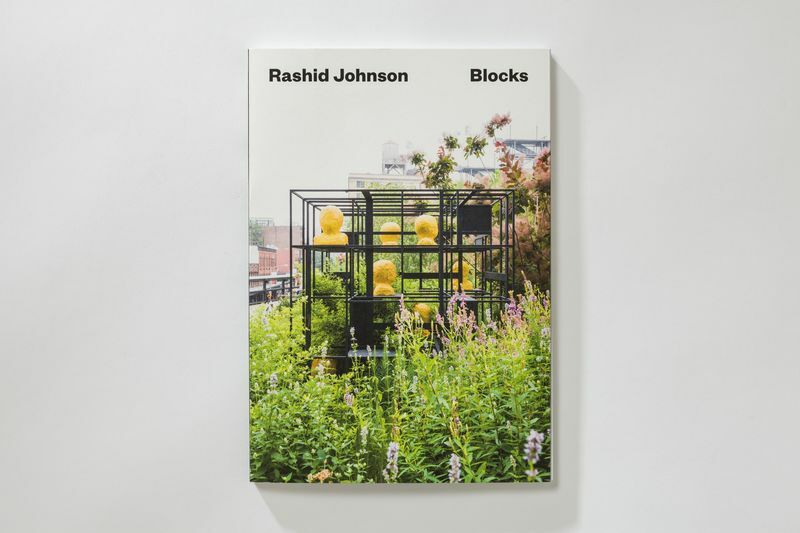 8 – 12, ill.
Richard, Frances, 'Rashid Johnson', in: Artforum, New York, April 2012, pp. 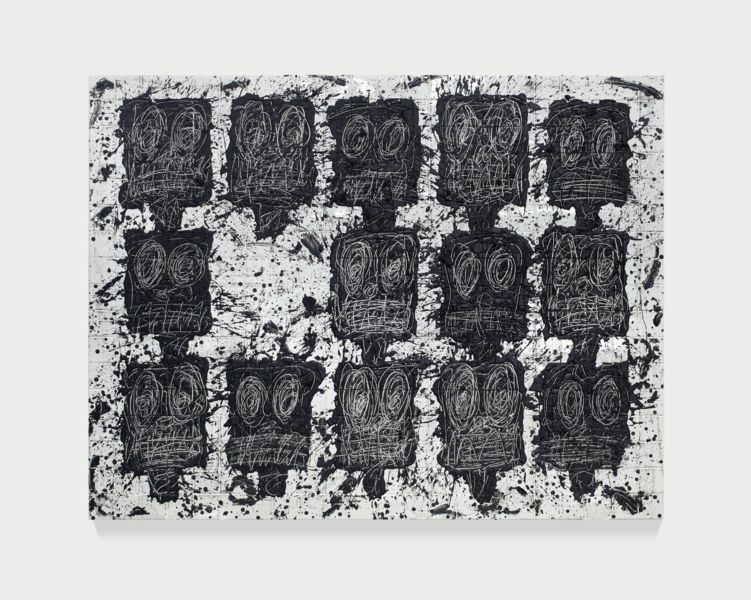 209 -210, ill.
Gat, Orit, 'Rashid Johnson', in: Modern Painters, New York, April 2012, pp. 38-39, cover, ill.
Miller, H. Michael, 'Rashid Johnson', on: www.papermag.com, New York, 22 March 2012, ill.
Sinclair, Charlotte, 'Art For One & Art For All', in: FT Smart Arts, London, 18 February 2012, pp. 10 – 14, ill.
___, 'Fusing identity', in: Deccan Herald, Bangalore, India, ill.
___, 'Art Exhibition: Rashid Johnson's 'Rumble' at Hauser & Wirth, NY', on: www.lomography.com, 10 February 2012, ill. Brand, Will, 'This Show Is Not About Don King: "Rumble" at Hauser & Wirth', in: Art Fag City, New York, 31 January 2012, ill.
Laster, Paul, 'Rashid Johnson, "Rumble"', in: T.O.N.Y., New York, January/February, ill.
McClemont Doug, 'Doug McClemont's Top Ten New York Shows- January', on: www.studiovisit.com, ill.
Laster, Paul, ’Review: Rashid Johnson, “Rumble”. Johnson’s gallery debut revists an epic fight.’, on: newyork.timeout.com, 24 January 2012, ill.
___, ‘Quick pick #3: Rashid Johnson’, on: gottahandit.blogspot.com, 20 January 2012, ill.
contemporaryartlinks.blogspot.com, 20 January 2012, ill.
___, ‘Rashid Johnson’s “Rumble” at Hauser&Wirth’, on: riotofperfume.com, 19 January 2012, ill.
___, ‘Rashid Johnson at Hauser and Wirth’, on: www.huffingtonpost.com, 18 January 2012, ill.
Lax, Thomas J., ‘Rashid Johnson: Message to our folks’, in: ArtForum, New York, January 2012, p. 113, ill.
___, 'Rashid Johnson's 'Rumble' at Hauser & Wirth', in: New York Near Say, New York, 11 January 2012, ill.
___, ‘Rashid Johnson`s homage to Ali promoter’, on: uk.phaidon.com, London, 10 January, ill.
___, 'Rashid Johnson's Rumble' at Upper East Side gallery', on: www.examiner.com, Denver, 10 January 2012, ill.
___, 'To-Dos: Rashid Johnson's Opening at Hauser & Wirth This Wednesday', in: Art Fag City, New York, 9 January 2012, ill.
Martinez, Alanna, ‘See Rashid Johnson Merge Don King and Black Yoga at His New Hauser & Wirth Show’, on: www.artinfo.com, New York, ill.
Hinrichsen, Jens, ‘Schwarz gegen Schwarz-Weiss-Denken: Rashid Johnson in New York’, in: Monopol, Berlin, January 2012, p. 115, ill.
___, ‘Unter sechs’, in: Monopol, Berlin, January 2012, p. 30, ill.
Spears, Dorothy, ‘Fusing Identity: Dollops of Humor and Shea Butter’, in: New York Times, New York, 8 January 2012, ill.
___, ‘Rashid Johnson, “Rumble”’, on: newyork.timeout.com, New York, January 2012, ill.
___, ‘Rashid Johnson’s “Message to Our Folks” at MCA Boston’, on: www.artinfo.com, New York, 3 January 2012, ill.
___, ‘POST: Rashid Johnson / Modern Painters / December 2011 – January 2012’ [interview], on: blackartistnews.blogspot.com, Chicago, 1 January 2012, ill.
2011 Adam, Georgina, 'Glitz and pieces', London, 3-4 December, p.13, ill.
___, 'Close-up', in: Modern Painters, New York, p. 27, ill.
Harris, Gareth, Burns, Charlotte, 'Artists are a-changing', in: The Art Newspaper, Art Basel Miami Beach Daily, London, 2 December 2011, p. 1, ill.
___, '24 Questions for Art Collectors Don and Mera Rubell', in: Artinfo, New York, 29 November 2011, ill.
Vogel, Carol, 'Six Named as Finalist for Hugo Boss Prize', in: The New York Times International Herald Tribune, New York, 25 November 2011, ill.
Douglas, Sarah, 'Rashid Johnson Joins Hauser & Wirth', in: Gallerist NY, New York, October 2011, ill.
Valdez, Sarah, "Freestyling," Art in America, September 2001, pp. 134 - 39, 162.